This ukulele's fretboard lights up to show you exactly how to play your favorite songs. Learning an instrument is one of the most rewarding things you can do for yourself (maybe not for your neighbors). But it’s also one of the hardest things to make time for, even for relatively easy instruments like the ukulele. So this high-tech uke has education built-in. Populele is a well-made ukulele first, and a tool for learning second. It sports 72 LEDs in its fretboard, connected to an app that shows you how to play your favorite songs. The lights show you exactly where to place your fingers. As you play, you’ll learn the basic mechanics of the instrument. There’s a vast, continually updated library of popular songs, and built-in recording so you can share your progress with friends. 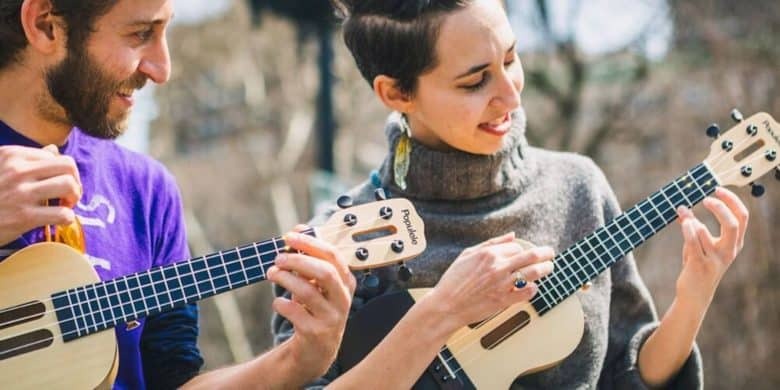 The ukulele itself is made from premium European maple and spruce, with Italian Aquila strings for a sweet sound that’s pleasing even if you have no idea what you’re doing. Buy now: Pick up a Populele for just $153 at Cult of Mac Deals for a limited time with coupon code: BOO15.